A Sunday shape. A pose that requires so much vulnerability and strength. I generally have more of one than the other, in yoga and elsewhere. I bet you can guess which. This is definitely not a yoga glamour shot, my Sunday morning PJ struggle with wheel pose. I feel too exposed. But I am very aware that I must stop avoiding the places where I feel my vulnerability, my instability, even where I feel slightly unsafe in my own body. This feels particularly important in the current times. 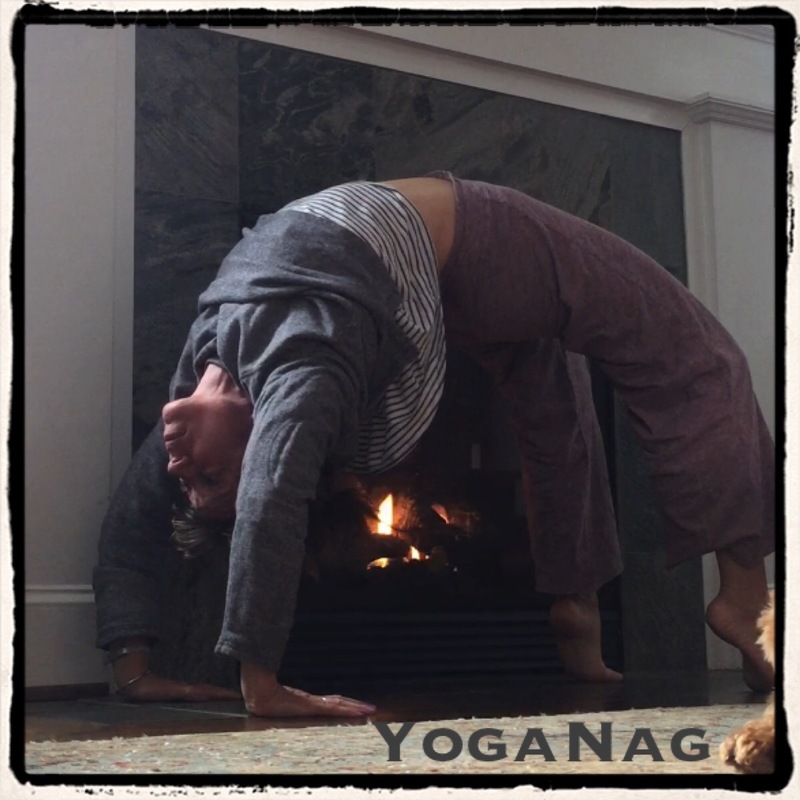 This pose embodies both strength and vulnerability. I need both. I think we all do. Some of us have more of one inherently than the other, for so many reasons, some of which comes right down to privilege. For me, I can’t look away from the hard stuff, and seek out the stuff that makes me feel strong, good, safe. 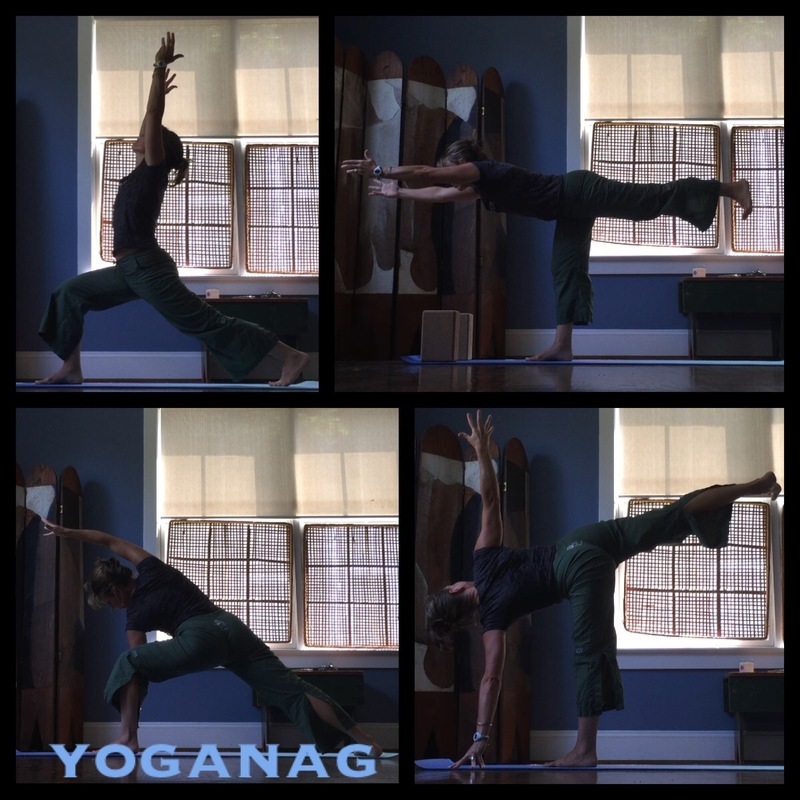 I am embarrassed by how much I do this (and even advocate for it, saying pick the poses that you love and start there, which can be great, but not all of what we need to do in this practice﻿). I am digging in, getting real. I am grateful for this practice, this body, this cozy space with Charlie’s support, and the inherent indulgence evidenced in this post, that I get to practice these things here in my body on a daily basis. I know this is a privilege. I also know many of us could use a lot more embodiment right now, and maybe like me, embodying some of the stuff you normally avoid. It is the time of year where we look to what we have. This year, I am looking more deeply at my list. In looking at what I have, I am also looking for what I don’t, seeing where I could do more work, where I could do less. On my mat. And off. What is on your gratitude and lists this year? Can they help you reveal more about you? About your world? Are you avoiding important bits? Are you overdoing something, underdoing something else? It feels like time to get real, friends. Like, really real. Time to dig in. See what is there and what isn’t. What you have and what you have been missing. What we have and what we are missing. I have a great share. 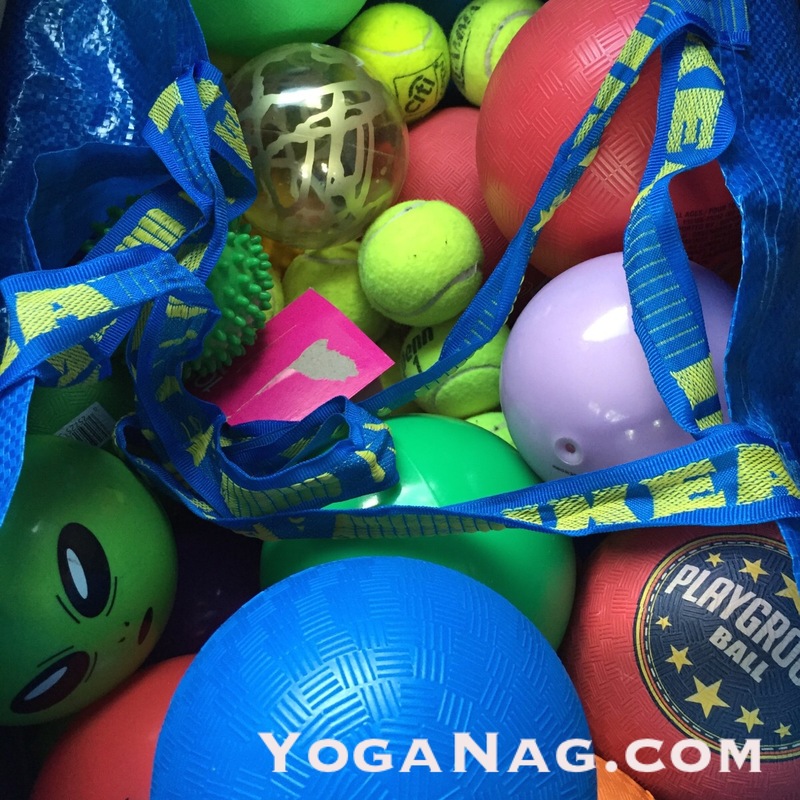 Some of the fun perks of being a yoga teacher are discounts on yoga clothes and yoga gear from a variety of places. My FAVORITE by far is Manduka–like these comfy leggings and this awesome mat. As an “ambassador” for Manduka, they are extending a discount to my students and friends between now and Halloween. Use the coupon code DWHITTEMORE9 to receive a 25% discount on an order from http://www.manduka.com. Nice! Right? Fun! Leggings leggings leggings. Or whatever suits YOUR fancy. Shift the perspective. And the movement. But stay with the breath. Make the back of the mat home base. These were my birthday sun salutes. Video at YogaNag.com. There were quite a lot of them. Slow and steady through the ages. Cultivate the capacity to sit still with yourself (including making necessary adjustments, such moving your fleshy bum bits out of the way and finding ease in your neck and shoulders). This one is for my beautiful Minnesota family. I love you. I see your pain, and it’s real. I’m so sorry. You are surrounded by love. We are all here. That’s what I am doing. So, that’s what we are doing, in my classes. 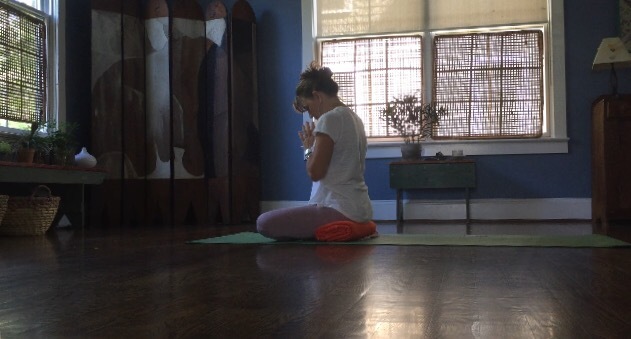 The in-betweens….in between poses, in between our exhale and inhale, in between our exhale and inhale. Happy transitional season. Not summer. Not fall. In between. So, we will occupy that space. Together. It’s hard work. It’s good work. Join me. New schedule is up. I hope you are all thriving, both on and off your mats. I have been offline, out of touch, not posting for months. I know! It has been mostly good, wonderful even, to spend less time in the electronic world, fingers on machines. However, I do have to admit that my yoga practice has suffered without the constant nag to nag. As many of you know, one of my primary reasons for nagging all of you lovelies to practice your yoga is to also hold myself accountable for practicing my yoga. Well, without you, I have practiced much less. It’s sad. Community helps me keep on keeping on, even in this odd electronic format. I am not yet committing to returning to my daily Nags, but I am working to get back to a more regular practice. That is my intention. That is my big plan. And that will be part of my fall class lessons too: how to infuse our practice (and our lives) with not just presence but a sense of purpose, an intent. It makes a big difference for me, and we will talk about it some, how it goes for you, and I hope to blog or at least nag a little about it too. 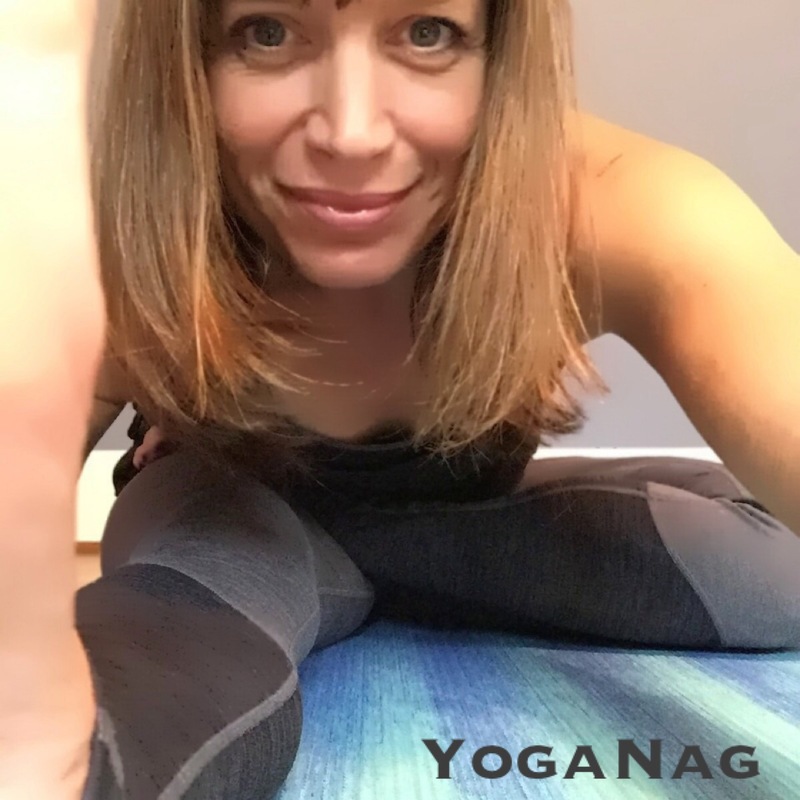 In the meantime, my fall schedule starts tomorrow, with much of the same, except I am super excited about a new offering at the end of October, a late night yoga practice with Daisy on Thursday nights at 7:45 pm at Willow Street in Silver Spring. Years ago, my home practice began with late nights after my kids were in bed, the only real time I could carve out for myself. I would clean the kitchen (usually), sweep the floor, and roll my mat out in the middle of the room. Sometimes with a computer and an online teacher, sometimes on my own, I would unwind from my day, and reconnect with my body. It was sometimes a very calming, settling myself down type of practice. And sometimes a very long, ambitious one. I still think of that time as the cornerstone of my yoga practice and myself as a yoga teacher. I learned a lot in those months on my kitchen floor late at night. I am hoping to share some of it with all of you later this fall. So, see the schedule below. Sign up or drop in. I would love to see you. See Workshops too. Or if you want more personal attention, schedule a private session. Two more classes and then vacation for me. Hurrah! Don’t know if this Nag will nag or not. Or if I will get back to more nagging when I return. Time will tell. 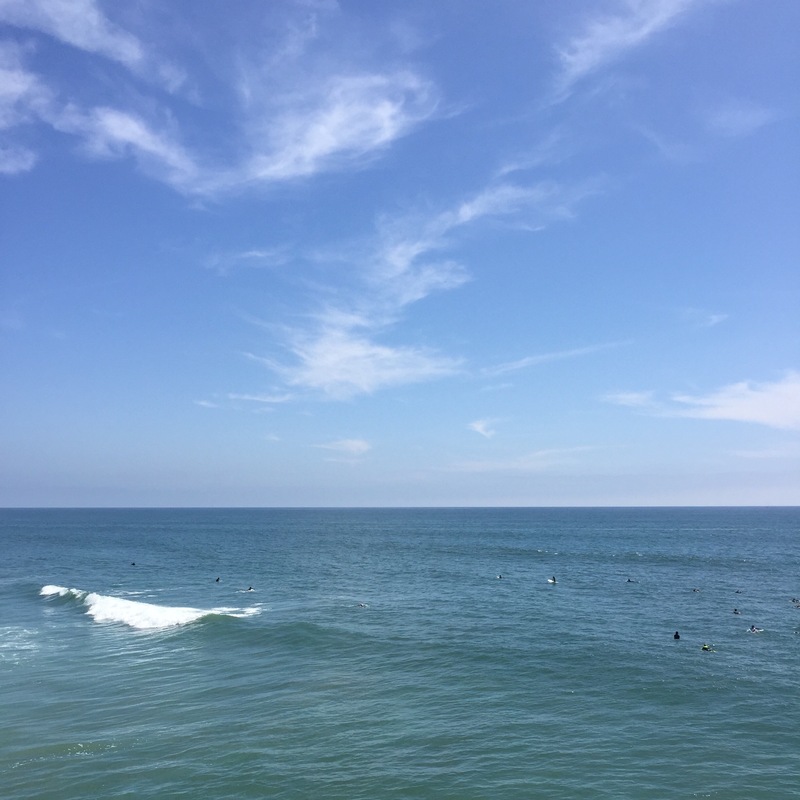 Trying to live and love and practice in the now, and the more immediate moments ahead of me, which are…. Tonight. Arm balances. At Willow. Tomorrow night. ROAD TRIP to the beach. Be well, yogis. Practice. Pause. Be. Just be. Hard to go anywhere without my bag o’ balls lately. The cheapest massage therapists in town. I feel a workshop brewing. In the meantime, off I go to teach a lovely professional group at their very own self supported and created retreat. I hope to get back to more nagging soon. I think.